Going from breadboard to a definitive device. Wich Arduino do I use? But some day you decide to go onto production. You’re very proud of your creation, and start thinking about to make a permanent device. 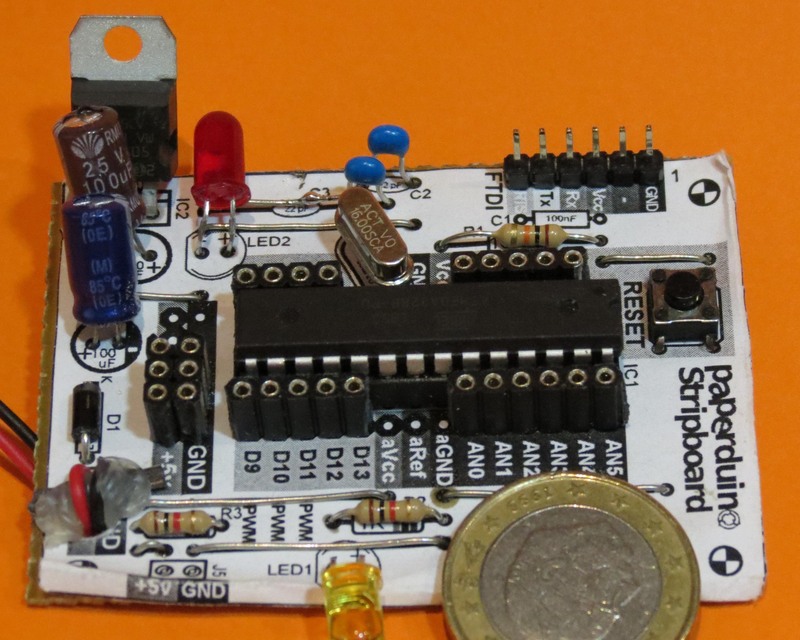 From the breadboard to the stripboard, perfboard or a pcb design. And you must think what to do with the Arduino itself. To use an original Arduino, and make a shield with “your” electronics. In my particular case, I started with an original Arduino (Arduino UNO R3). In fact, I needed two of them because I burnt out the first one in a few days 🙁 . 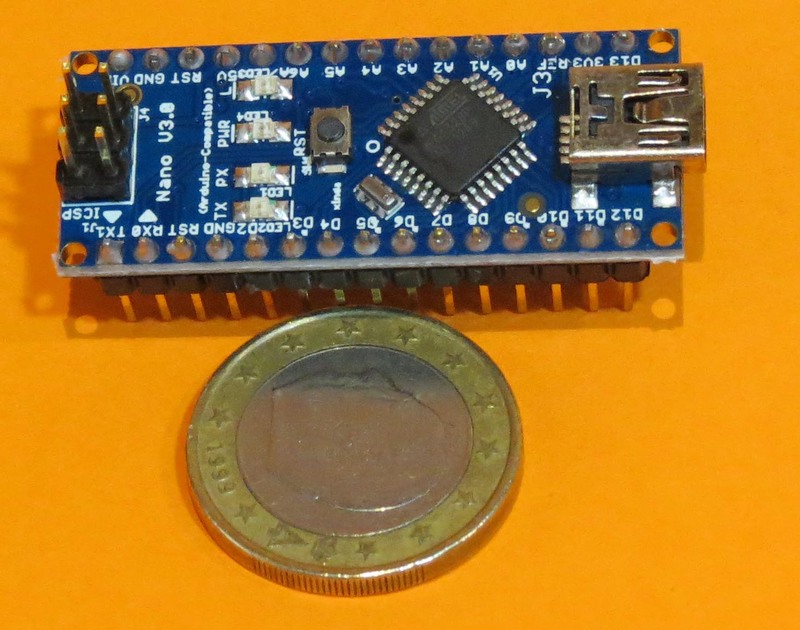 A year later, I thought: “Hey, Alberto, you still need to eat your own dog food, you are (supposed to be) a maker, so must build your own Arduino”, so I decided to follow the third approach. For the next three devices I made, I built Stripduinos and I’m very pleased with the proccess and with the results. I bought the ATmega IC’s in eBay (it came with the capacitors and crystal as a bunch, too). 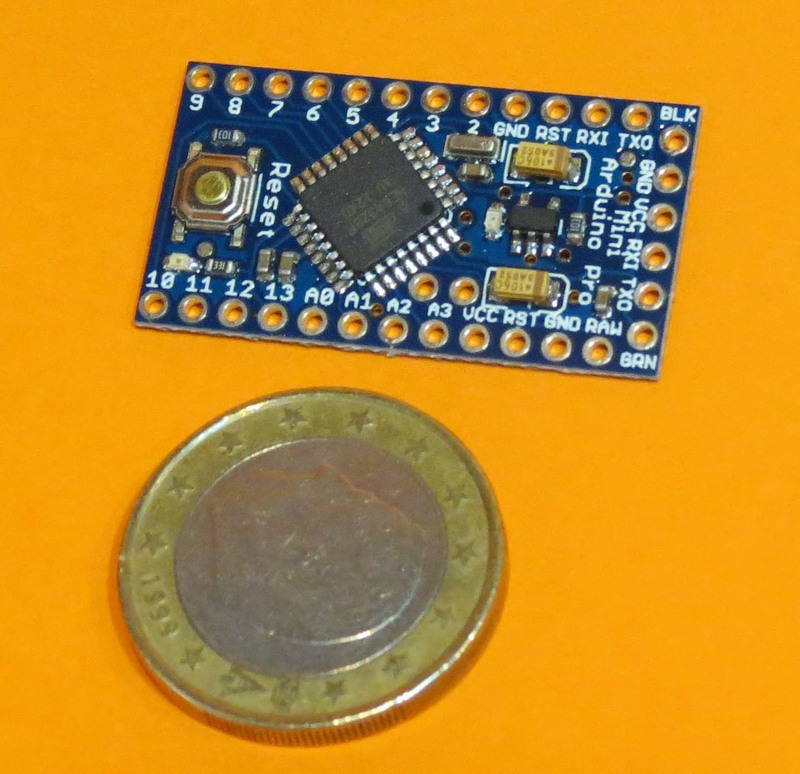 But some time ago, I realized that it wasn’t so funny or cheap to build your own Arduino clone, the strip boards are not so cheap, specially if you buy it in small quantities, and you spend more time than you think working on it. Every beginnner should start with a classic original arduino board. 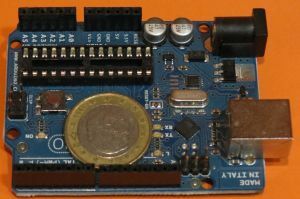 It will give you a lot of satisfaction, as well as you are contributing to the arduino community in any way. I think it helps you learn microcontrollers in a painless way. You should follow the most profitable way to accomplish a task, in terms of enjoyment, time and money. It doesn´t make sense to build your own bicycle (for example), if you’re going to spend 500 hours in the project, and you’re going to spend 500$ in parts, and you’re going to get a worse result than if you went the shop and bought a new one, for about 150€. I understand you could have different opinion. Even in this case, I hope my experiences and links can be useful for somebody. 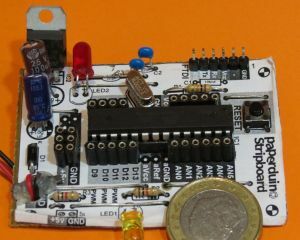 Paso de la placa de prototipos a un dispositivo definitivo. 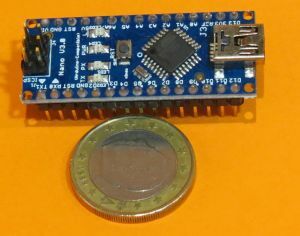 ¿Qué Arduino uso?